Did Donald Trump Say He Would 'Gladly Take... Slings and Arrows' of Criticism for His Supporters? 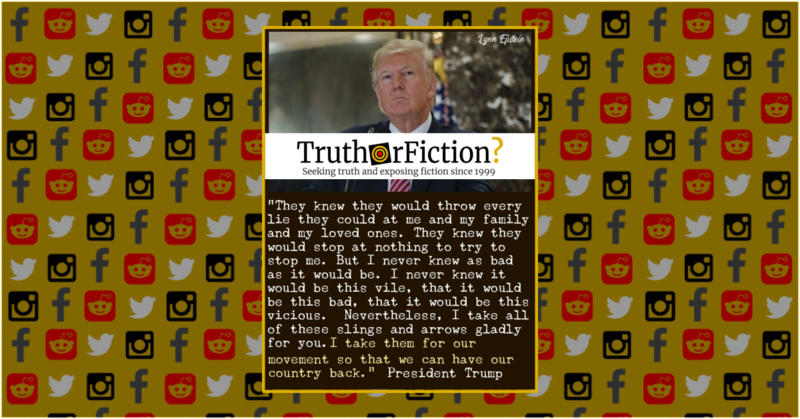 - Truth or Fiction? Did Donald Trump Say He Would ‘Gladly Take… Slings and Arrows’ of Criticism for His Supporters? 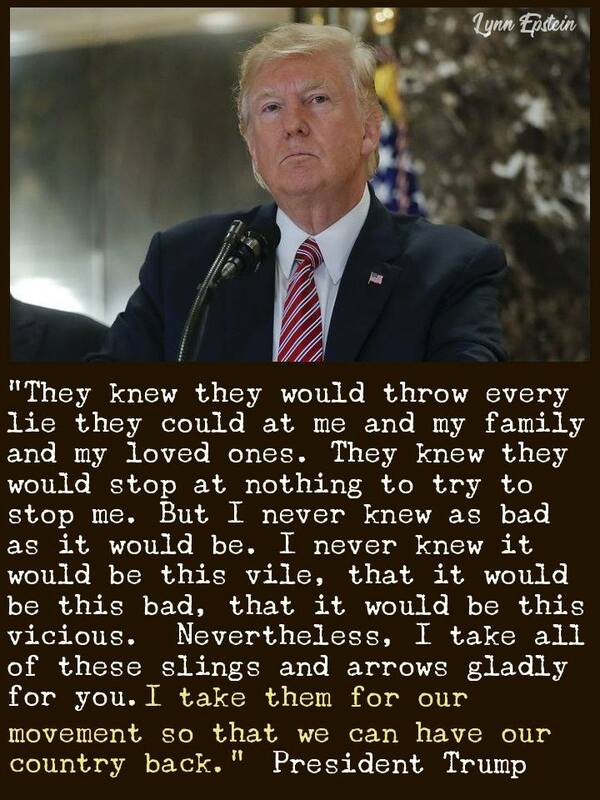 A quote attributed to Trump in a meme circulated on social media in January 2019. Donald Trump said that he did not anticipate the intensity of criticism, but would "gladly" endure it for his supporters. This quote is correctly attributed. Whether it is true, however, is a matter of opinion. Was a Mother Arrested After Leaving Kids in the Car for Nine Hours at a Buffet?